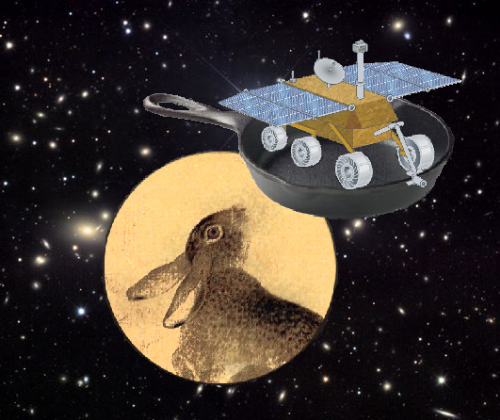 The mechanical controls of China’s Jade Rabbit lunar rover got fried, and the poor little thing probably froze to death during the Moon’s cold night. Think your “Polar Vortex” is cold? Overnight lows on the Moon can go down to -180C (-292F). 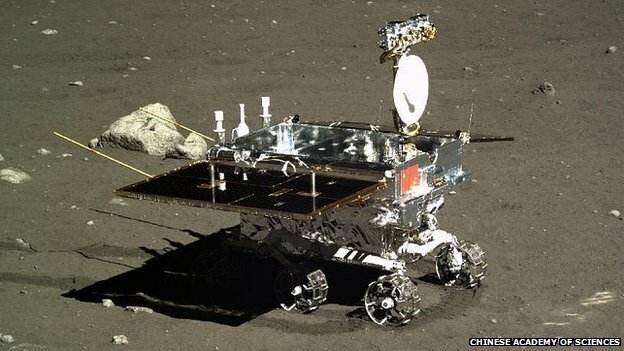 China has landed a lunar probe on the Moon, the first lunar soft landing since 1976. 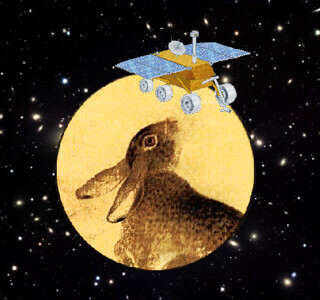 The Chang’e-3 lunar probe’s robot rover is called the Jade Rabbit, and it will explore the Bay of Rainbows. 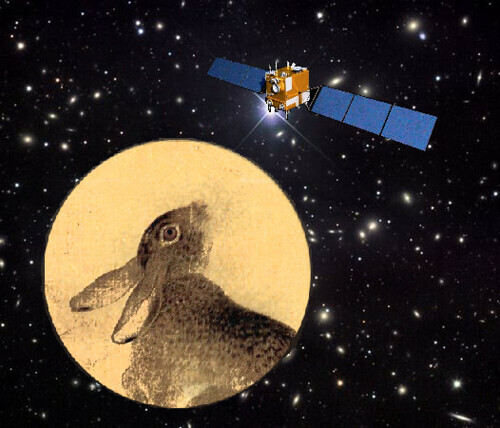 In Chinese myth, Chang’e is the Moon Goddess, and the Jade Rabbit (Yu Tu) is her pet. The China National Space Administration plans to land non-mythical personalities on the Moon by 2020 and set up a moon base in 2030. And where will the new Jade Rabbit roam? The Bay of Rainbows, naturally.